Poll: Should Irish people abroad be allowed to vote in Irish elections? 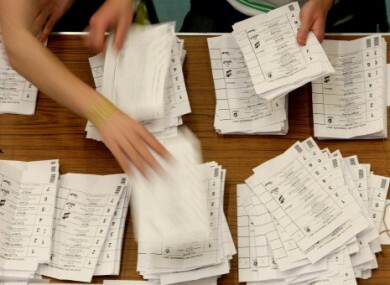 Have your say on lecturer’s suggestion to include Irish citizens abroad in national elections. WITH A GENERAL ELECTION on the horizon, attention is turning to party opinion polls and voting trends. More people of voting age are heading abroad to look for work as employment prospects seem stronger elsewhere. On RTÉ’s Marian Finucane show today, TCD politics lecturer Elaine Byrne has suggested allowing the Irish diaspora to vote in elections for a reformed Seanad as a means of allowing more voices have an impact on Irish politics. Would you agree? Do you think Irish citizens living abroad should be able to vote in Irish national elections? Email “Poll: Should Irish people abroad be allowed to vote in Irish elections?”. Feedback on “Poll: Should Irish people abroad be allowed to vote in Irish elections?”.